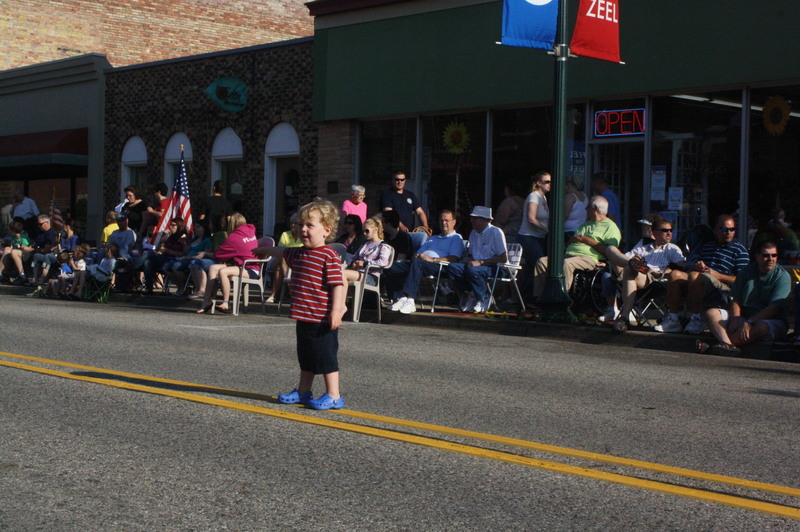 We went to our small town’s annual Memorial Day Parade with Eddie. It’s not that we weren’t thinking about the meaning of the parade, but when you have a toddler you are mostly thinking of how he will like the drums. 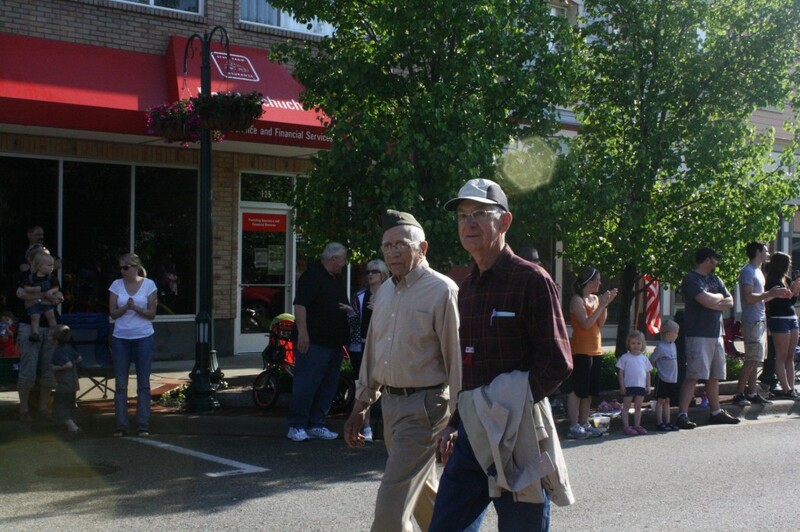 And of course we were watching for Great Grand-dad in the group of WWII vets. and just after we waved to Great Grand Dad, it happened. A car of WWII vets drove by. One kind vet saluted my son. 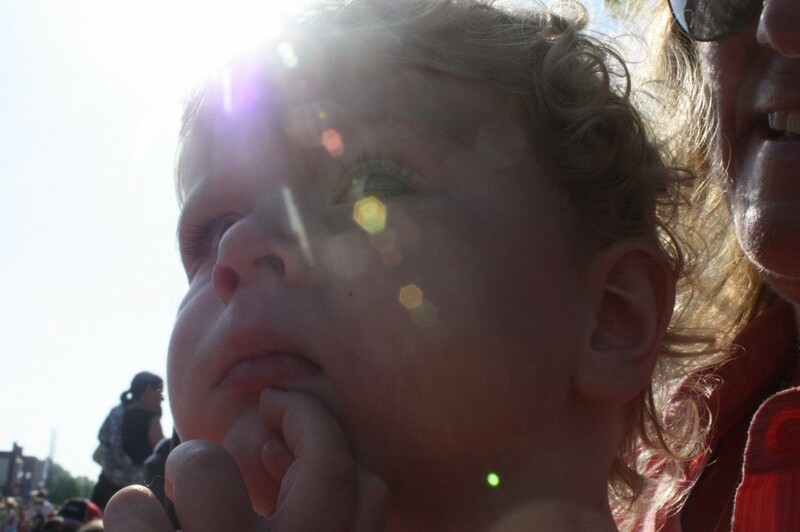 My small, blue-eyed, blond curly headed boy watched intently as the kind-faced vet rolled away in his car. The crowd continued to stand and clap. And my thoughts followed my little boy up through school and beyond high school. It never occurred to me until that moment that my son might choose the military. Neither Cort’s dad nor mine did. But Cort’s stepdad, both my grandpas, Cort’s maternal grandpa, and his uncle did. College was the assumed path for my husband, me, and our siblings. But what if Eddie chooses to give himself to his country and serve? My heart started beating with the pride of that possibility. Of my son in uniform. Just then the Gold Star Mothers rode past. And my heart fell out of my chest. I realized whatever Eddie chooses, my heart will explode with pride and break with worry. Sluiter Nation would like to thank all the men and women who have chosen to serve the United States of America. This gave me chills Katie. I can’t imagine what those mothers have gone through. They have given all, I’m sure it meant a lot to those mothers to see you line that parade route. And likely? They looked at your Eddie & retraced their own childrens’ steps back to childhood. Beautiful, as always. I love your blogs, but this really hit home! You are a great example! What a moment!! Such beautiful words to epxress something that imagine so many mothers battle each day.